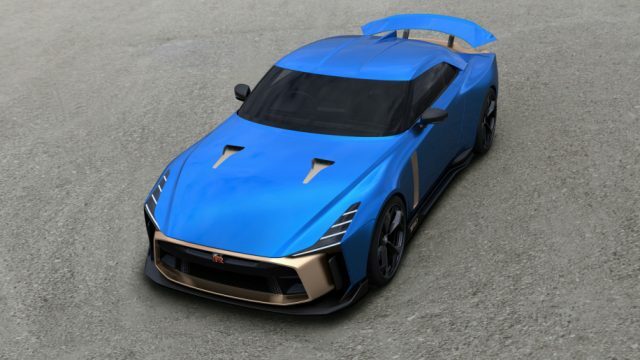 The design of the Nissan GT-R50 has been completed by Italdesign, and Nissan has started taking orders for the limited edition dream-like car. The best part about the production model is that Nissan and Italdesign haven’t changed much from the prototype’s design. This is the reason why the production-ready version looks as stunning as the prototype does. 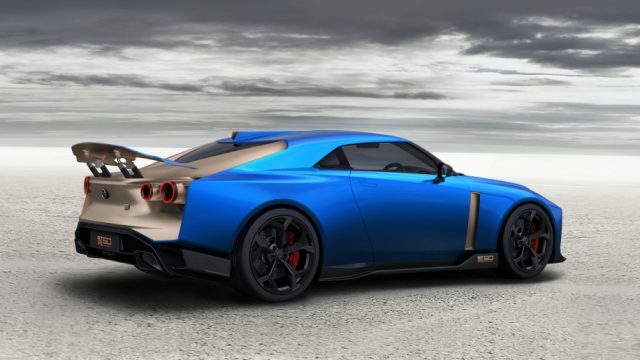 Even though you are allowed to have a large range of colour combinations for your Nissan GT-T 50th Anniversary Edition, the blue and gold colour combo is a neat example of what you could order for your GT-R50. 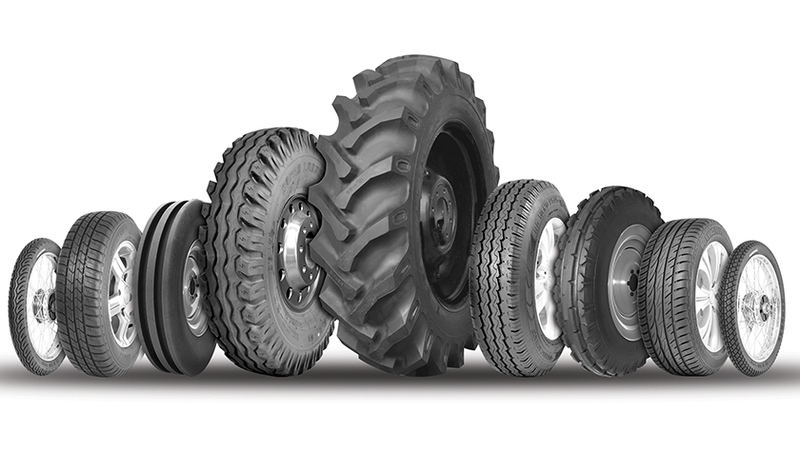 The interior colours and packages are also highly customizable. Converting the price from Euros to U.S. Dollars, we get a whopping $1,126,799 price tag for the GT-R50. Of course, when you pay over a million dollars for a car, you will most probably get a wide range of colour combinations and interior packages. The original estimate given by Nissan back in July of this year was approximately $100,000 less than the actual price tag. However, this bump in actual price from the estimated one won’t stop the super-rich people who plan to buy the 50th anniversary GT-R no matter what. Nissan hasn’t specified any changes in performance of the production version compared to the prototype. The Nissan GT-R50 is essentially a GT-R Nismo but with the bodywork done by Italdesign. The engine’s performance has been boosted when compared to the regular GT-R Nismo by using larger turbos which are borrowed from Nissan GT3-Class race car. Other factors that play a role in boosting the performance of the 50thAnniversary GT-R are more aggressive cams, larger intercoolers, and heavier duty internals. All of these changes combine to produce an additional 110 horsepower and 94 pound-feet of torque from the GT-R50. Nissan has bumped up the differentials and used stronger axles that can prevail even harder launches than the Nissan GT-R Nismo. Heavy-duty six-piston Brembo brake callipers at the front and four-piston clampers at the rear are responsible for bringing the beast to a stop. The GT-R50 will also feature Bilstein dampers that can marginally reduce the impact of bumps. 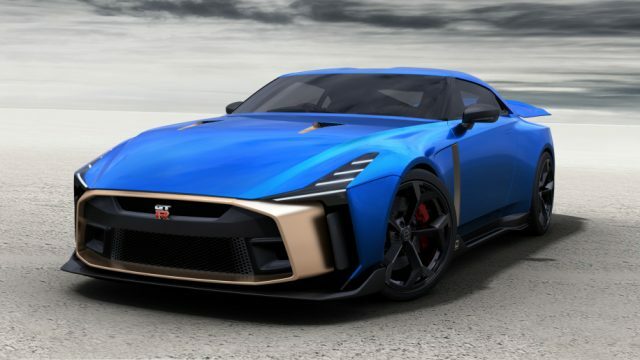 The Nissan GT-R50 will be a bit harder to get as there are a lot of rich enthusiasts dying to get their hands on the symbolic car. We predict that a large portion of the only 50 cars to go through production will end up in Asia and Europe.